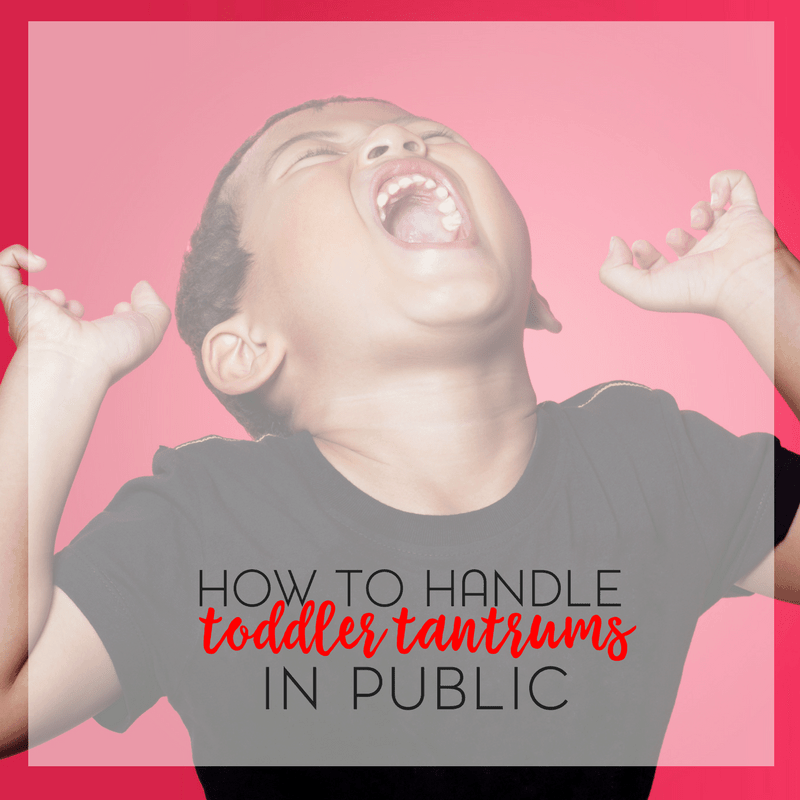 Temper tantrums and toddlers seem to go hand in hand. It’s a developmental thing and finds it roots in any number of things from lack of communication to simply being tired. 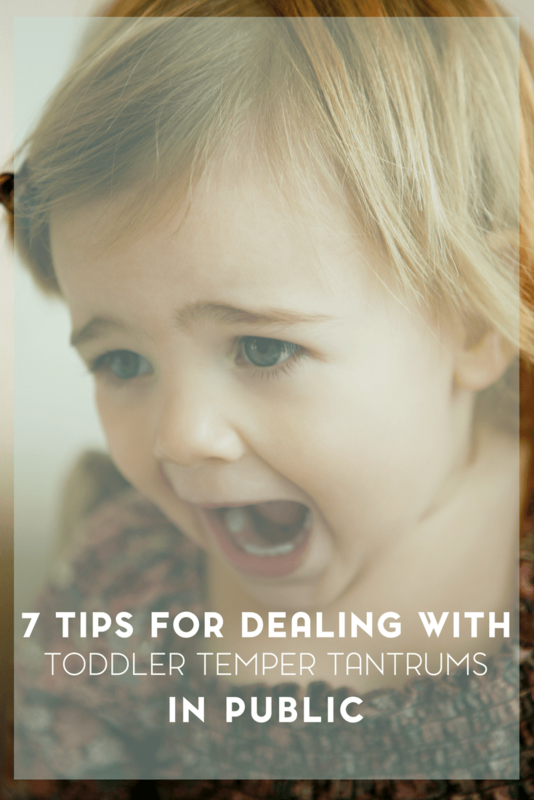 So that’s why I wanted to share my tips on motherhood for dealing with temper tantrums. And, of course, if you need more tips and advice, be sure to check out the rest of my tips for modern day parents. Filled with all kinds of helpful posts for motherhood from pregnancy to teens. 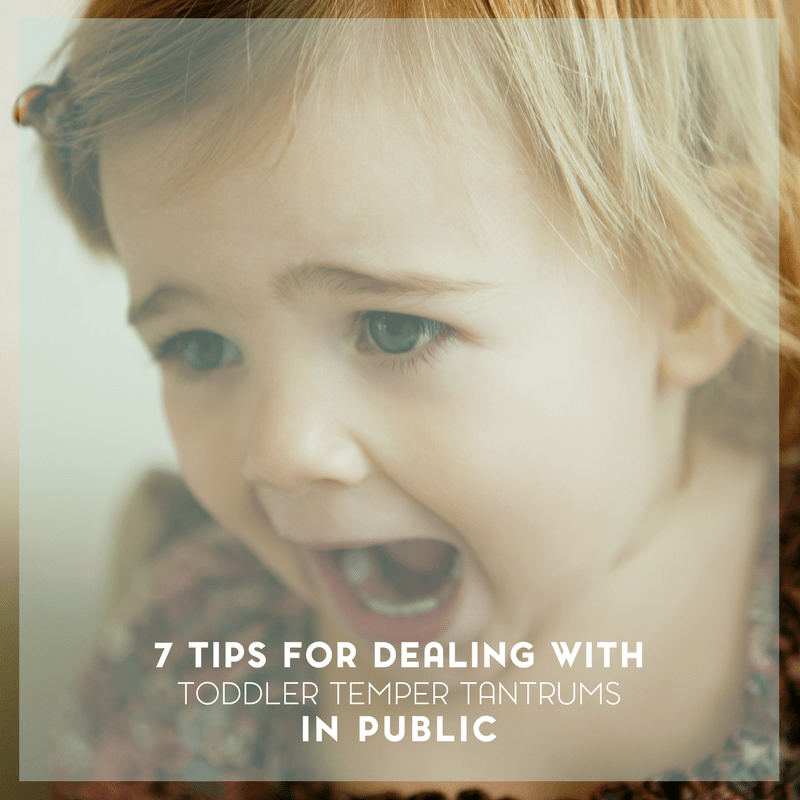 Handling a temper tantrum can be similar to handling a stubborn toddler. This requires patience, negotiation, and yes- you can reward yourself with a glass of wine or pint of ice cream later on if you so choose. Or both… I won’t judge. Going shopping with your toddler or running errands with your toddler is sometimes just asking for trouble. They could easily get overwhelmed and before you know it- your angelic tot is suddenly on the floor and screaming. Public temper tantrums pull the spotlight on you and your parenting skills. At least that’s how it seems. However, reacting to the spotlight and the pressure to get your child under control can make things worse. Focus on helping your child and ignore the other shoppers or restaurant customers. #2 Speak in a calm, quiet voice. Raising your voice accomplishes two unproductive things. It draws more attention from people around you. Additionally, it may trigger your child to dig in even deeper into their temper tantrum. Your reaction is exactly what they’re trying to get. Speaking in a calm, quiet voice forces them to calm down to listen to you. It helps get the message through to them and your words stay private between you and your toddler. It’s tempting to buy your child the item they’re having a fit over just to quieten them down. However, taking this action will only reinforce the behavior and turn every public outing into a debacle. #4 Avoid the tantrums in the first place. 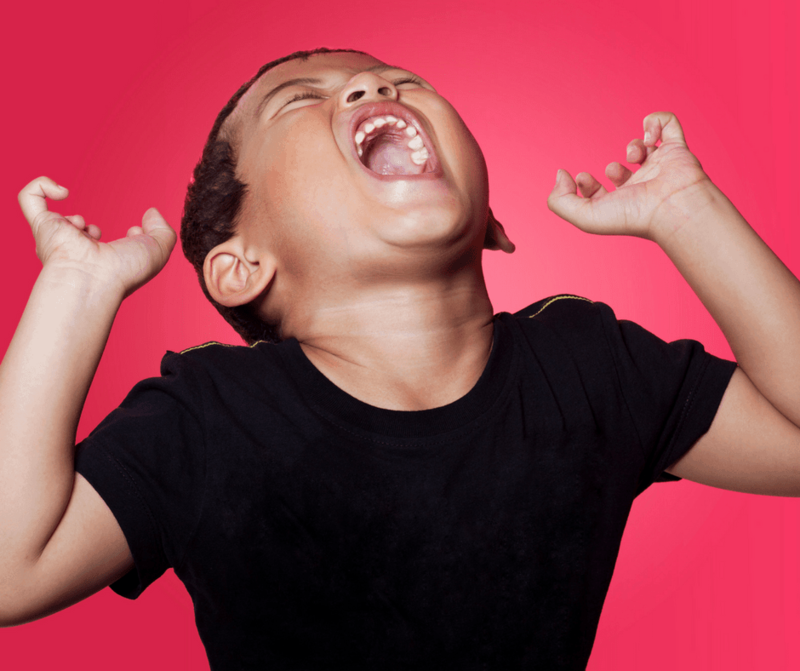 Children are prone to temper tantrums when they’re feeling out of sorts. They might be hungry, tired, overstimulated or bored. If you can avoid it, don’t take your child shopping when they’re tired or hungry. If your toddler already has an established routine, or semblance of a routine, and you’re taking them out during their usual nap-time, rethink your plans. I’m working on a printable schedule and routine cards for toddlers, but you can also try my daily routine printable or you can check out this set of printable routine cards. If they’re overstimulated, find a way to engage them in one focused activity – singing for example. #5 Give your child choices. One way to avoid public temper tantrums is to involve your child in the decision-making process. Give them decisions to make. For example, what color Jello do you want to make tomorrow? What kind of soup should we buy? Do you want hamburgers or chicken fingers for dinner tonight? Giving them decisions helps them feel like they’re part of the process. They’ll be less inclined to have a breakdown. Before you get to the store, explain your expectations clearly. Let them know that you’re not buying any extras today and to not ask. However, they can choose their breakfast cereal if they behave. Children like to test your limits. They’ll ask for something from the store even if you’ve told them in advance that you’re not going to buy anything today. Stick to your guns and tell them no. Remind them of your expectations and the choice or reward they get if they behave. Public temper tantrums are embarrassing and pure torture when they’re happening. If you cannot get your toddler or young child to calm down in the store, don’t hesitate to leave your cart behind, pick up the child and remove them from the environment. It sends a strong and powerful signal to your child that you’re not affected by their behavior and it’s not going to be tolerated. The way that you react to your child’s behavior has a profound effect on how they act in the future. They look up to you, not only to tell them how to behave, but also to teach them by example. Reacting too strongly (or not strongly enough) to misbehavior can lead to repeated issues which can last indefinitely. Consider the following advice to correct your child’s behavior and remain a positive influence at the same time. The most important thing to keep in mind when your child misbehaves is to remain calm. Losing your cool while trying to improve your child’s behavior doesn’t set a positive example of how to act in stressful situations. Always deal with these situations as they come up, before you have time to get frustrated. If you’re feeling upset or overwhelmed with your child, let him (or her) know that this behavior is affecting you. Chances are, they’ll probably want to make you feel better. Children often act out because they are looking for attention, whether it’s positive or not. If yelling or throwing a tantrum proves to be a good way to get your attention, they will undoubtedly keep doing it whenever they see fit. Of course, you can’t ignore misbehavior completely; you need to make sure your child stays safe. But, try to avoid showing extra attention to him because of negative actions. As another example, if your child throws a tantrum because he wants a toy at the store, try telling him that you won’t talk about it until he calms down. Children react very positively to encouragement and approval. Make sure that you praise your children for good habits and behavior, so that they feel like they’ve done a good job. Not only that – praise also makes your child feel more capable, which is good for self-esteem. If your child gets no encouragement or attention from positive actions, he may turn to misbehavior in order to feel noticed. Usually, when parents clearly and firmly demand that their child do something, that child generally knows that there aren’t any other options. However, this isn’t always the case. Use a calm tone of voice when speaking with your child. Let him know that you mean what you say. If your child tries to talk you into changing your mind, calmly tell him that it isn’t happening and he needs to do as told. Of course, being firm doesn’t mean yelling or being mean to your children. Just don’t give in to them, and eventually they won’t try to sway you at every opportunity. Children make mistakes in how they behave, just like adults sometimes do. It’s important to remember that kids aren’t tiny grown-ups and lack much of the knowledge and experience that many adults have picked up over the years. Misbehavior may not be desirable, but it is a perfectly normal part of being a kid. By teaching your child how to behave better, rather than simply scolding them for bad behavior, you help to make sure they understand what they can do to behave better from that point forward. As parents, it’s our job to teach our children how to navigate the world around them. Reacting negatively to misbehavior can affect your kids during their childhood and later when they become parents themselves. Stay firm, patient and positive and your kids will develop positive habits too. 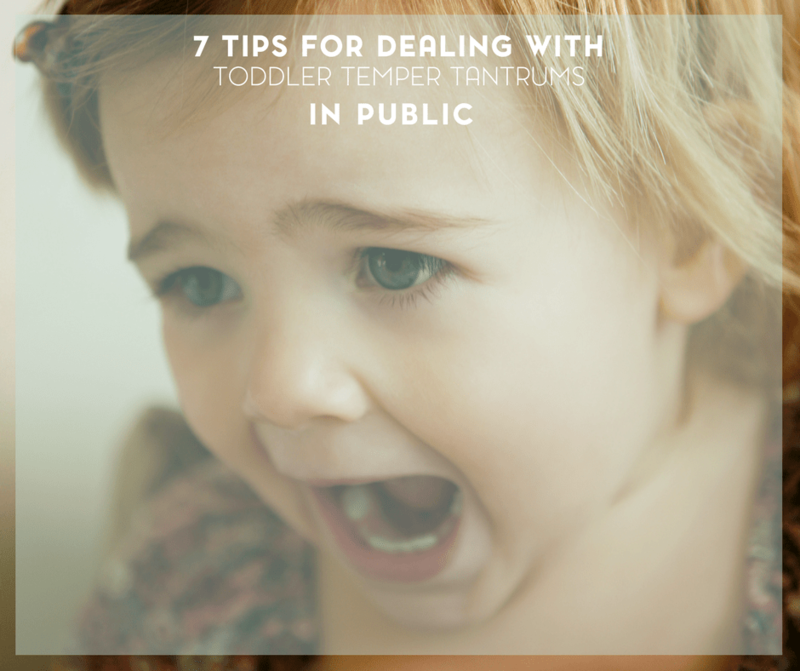 How do you deal with a toddler temper tantrum?